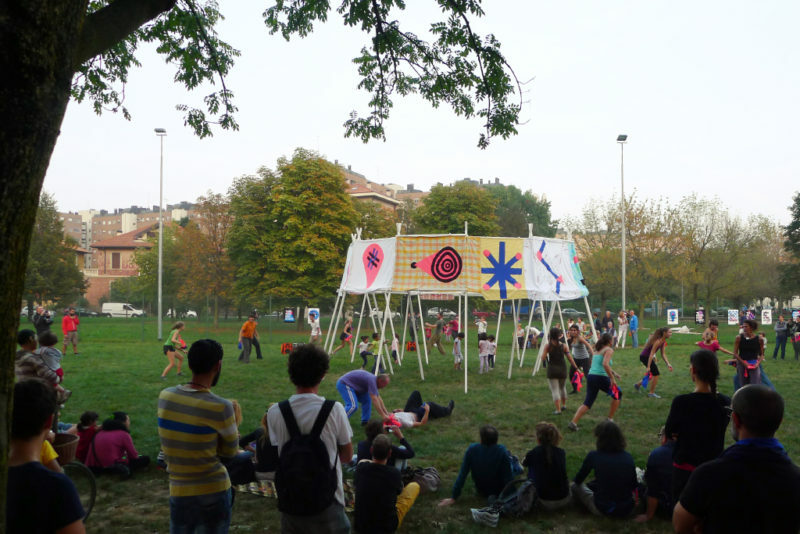 Mare Milano, now a cultural centre in Milan’s San Siro area, made its first public appearance in September 2014 making a day long performance during the neighbourhood party of Quarto Cagnino. 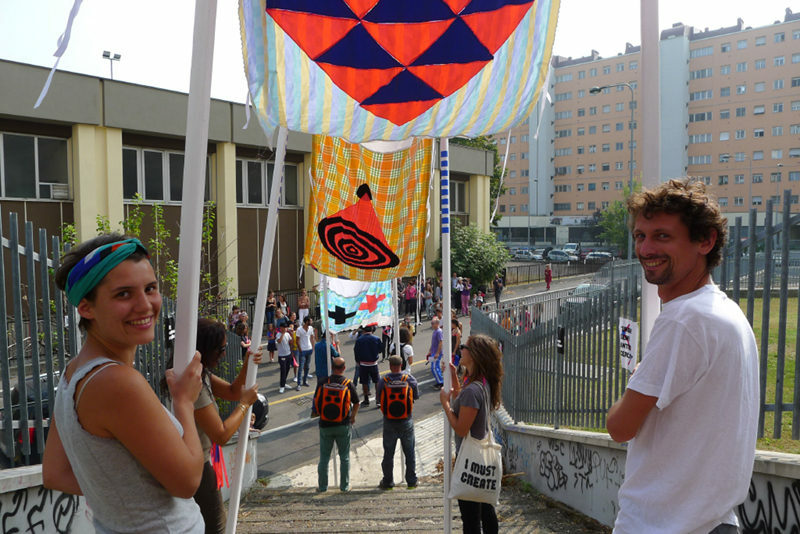 A new place for culture and art should start from the needs and dreams of the people living near. 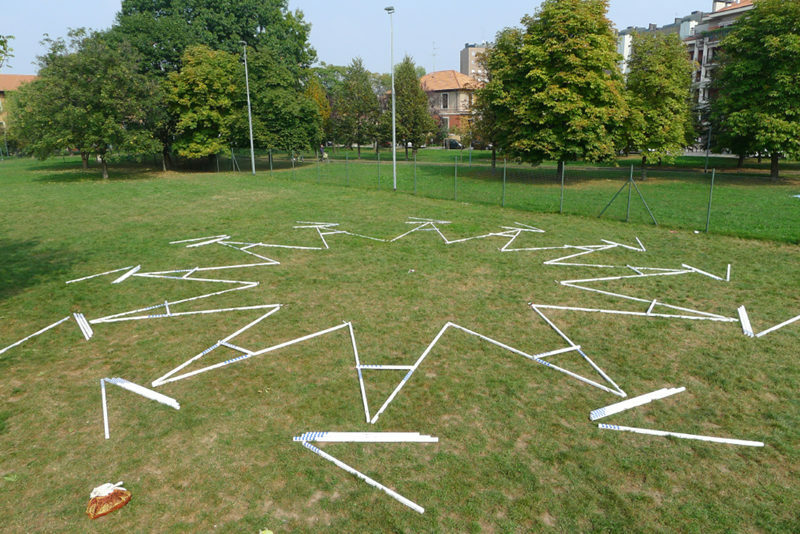 In order to investigate on these, the collectives Cohabitation Strategies and Landscape Choreography used the tool of a fictive foundation of a republic to get in touch with the neighbourhood and to talk about the territory. 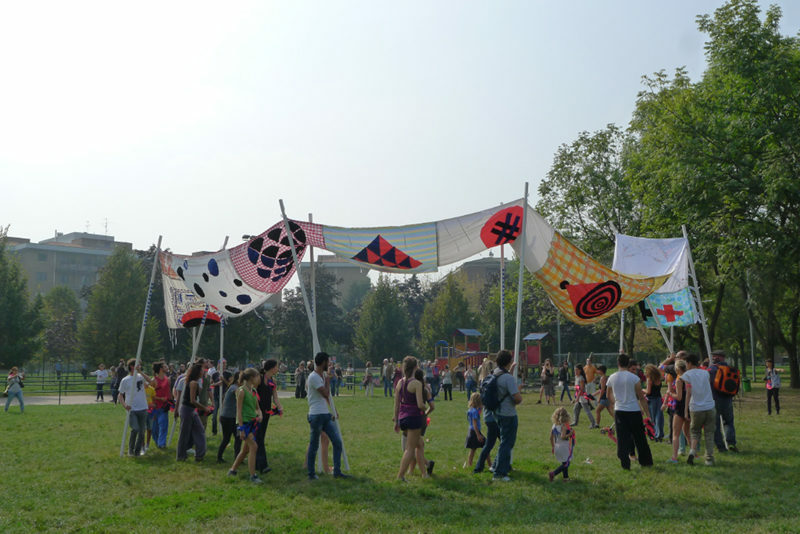 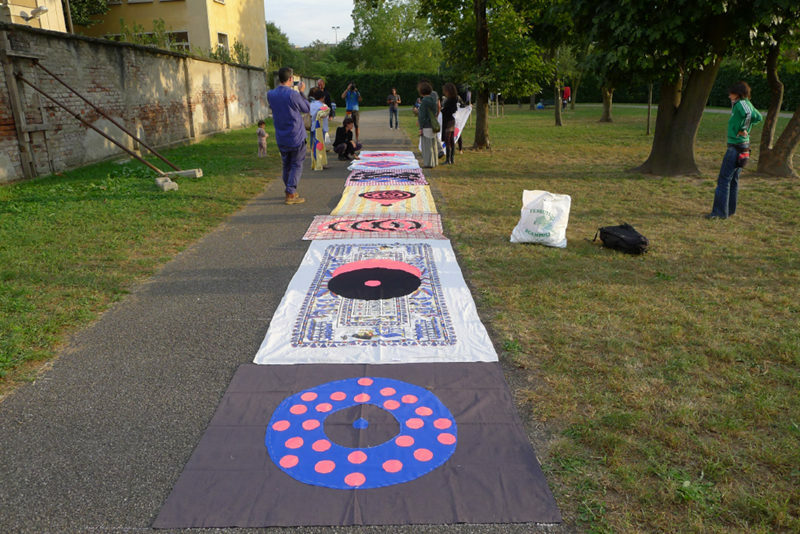 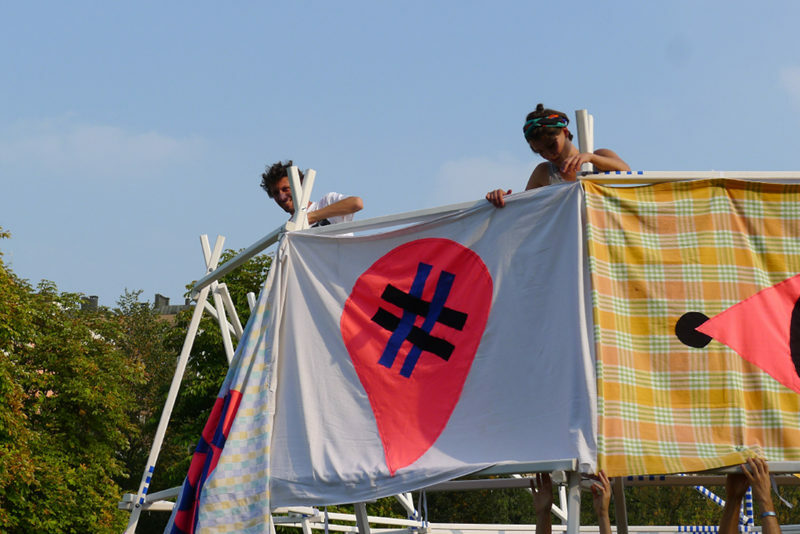 The outcome was synthesized to a huge flag made of donated tablecloths with sewed on symbols. 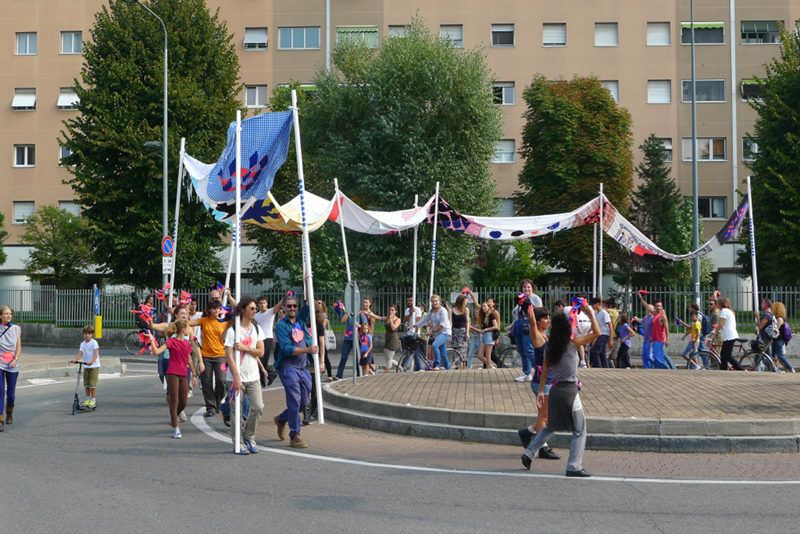 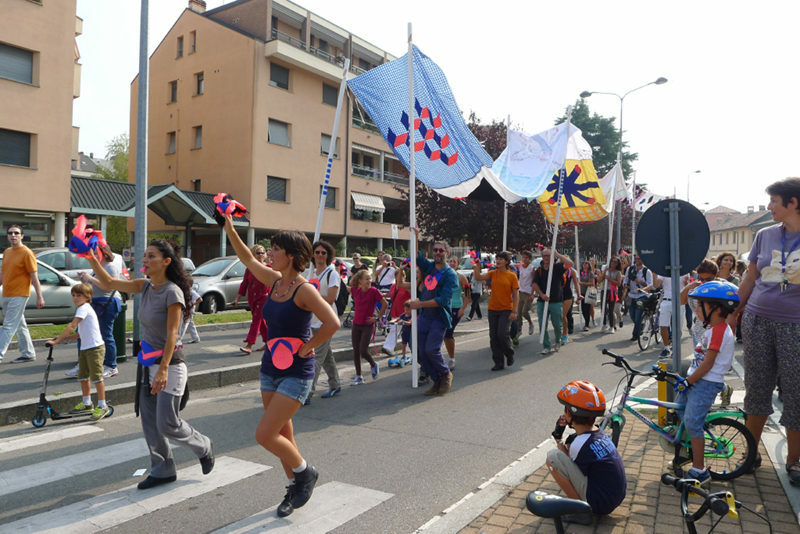 The flag was used in a parade, choreographed by Balletto Civile, that lead participants through the whole neighbourhood and concluded in a park. 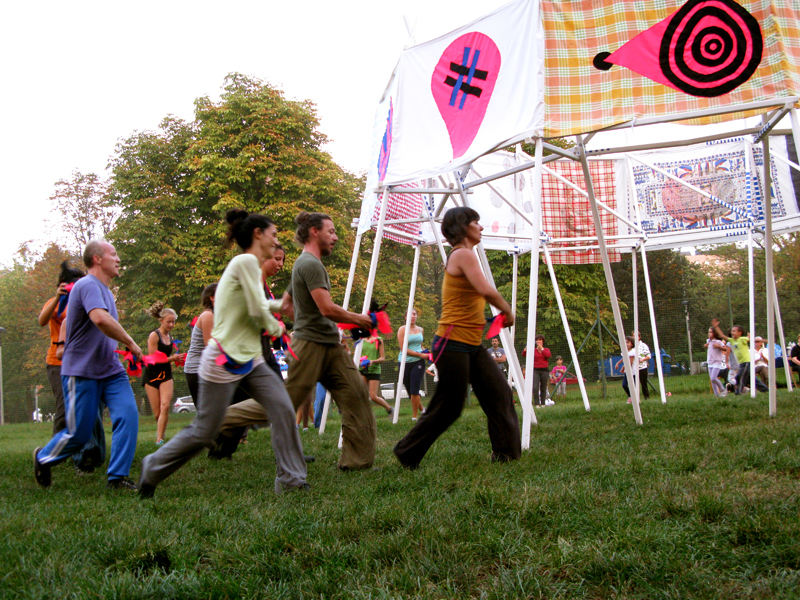 Laid down on the grass it was used as tablecloth for a big community picnic and then put up on a circular wooden structure used to form a pavilion for more performances to happen there. 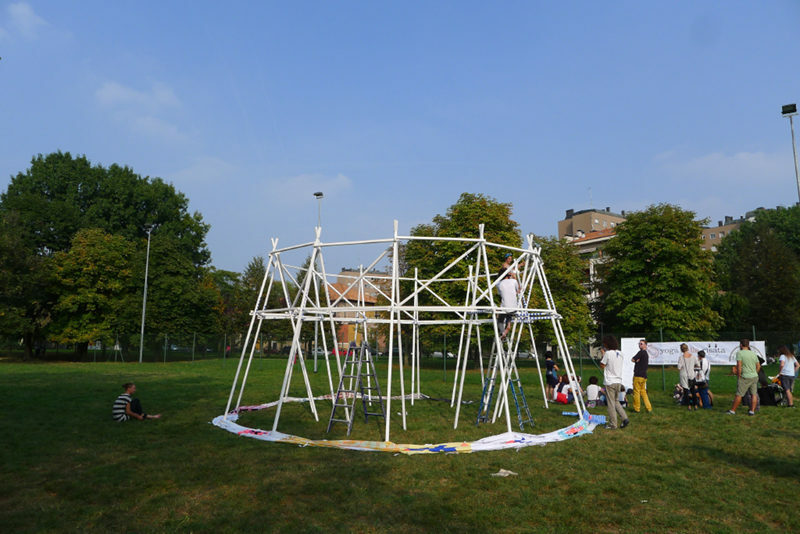 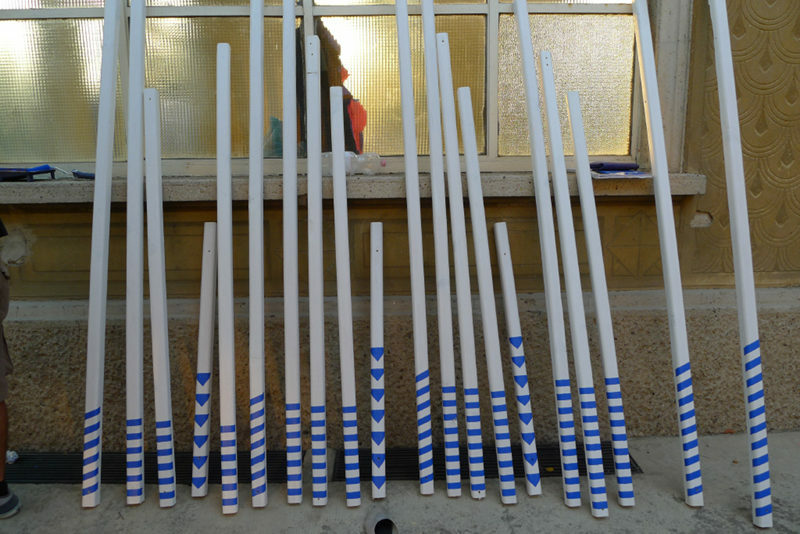 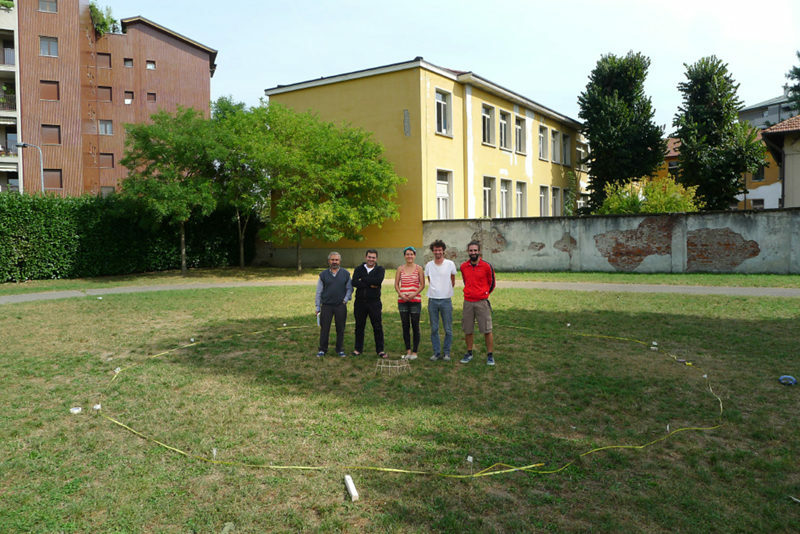 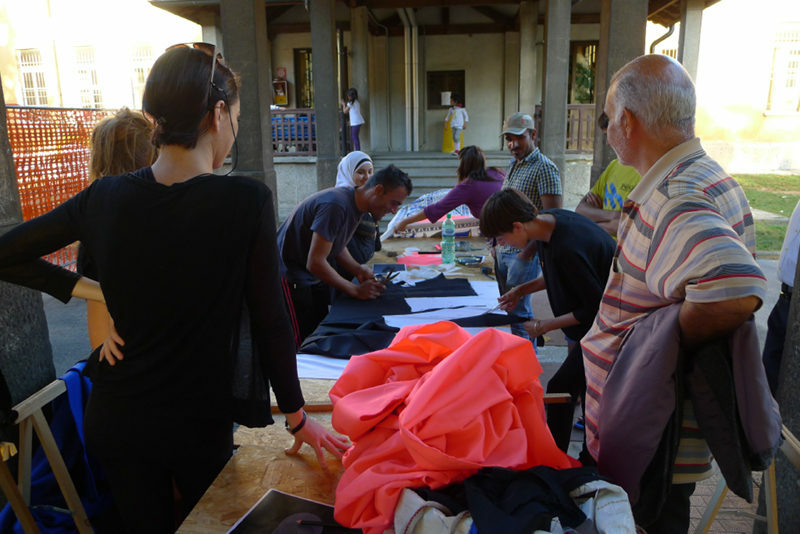 The design and construction of the pavilion-structure took place in a former elementary school of Quarto Cagnino, with the participation of locals and refugees who were hosted temporarily at this place.